Smart Set Canada has huge discounts for Black Friday Canada 2014 just around the corner! Start your Smart Set shopping on Black Friday November 28th, 2014 and enjoy the savings on apparel, accessories and more. On Black Friday November 28th, 2014 you can save 40% off everything. 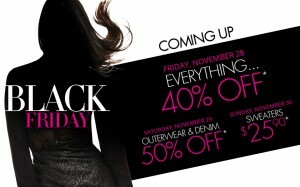 On Saturday November 29th, you can save 50% off outerwear and denim. And if you leave your Black Friday Shopping until last minute, on Sunday November 30th you will save $25.90 off of sweaters. If you are specifically looking to purchase outerwear and denim jeans, then your best best is to shop Smart Set's Black Friday Canada 2014 sale on Saturday November 29th 2014. For all other items I would definitely start your shopping early on Friday November 28th, 2014 as I am sure the hot items will sell fast! 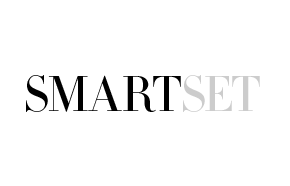 Click here to find a SmartSet Canada location near you to enjoy the Black Friday Canada 2014 sales and deals!